The Oben CTM 2500 monopod is an inexpensive carbon fiber monopod that is sturdy enough to hold my 500mm f/4 Nikkor lens. However, I’ve done most of my testing using the Nikon 200-500 f/5.6 VR lens and my D850. I was very pleased to discover that this monopod performs well in the field. 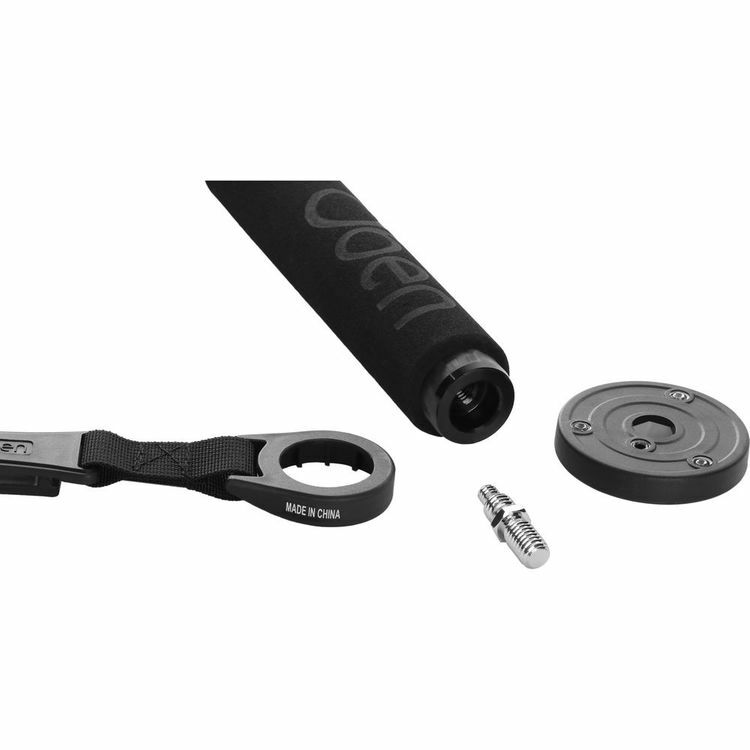 The Oben CTM 2500 is a 5-section monopod with a load rating of 26 lbs (11.79 kg). That’s plenty for most outdoor photographers unless you’re using some of the really big lenses. This monopod is able to extend to 65″ (165 cm), which is more than enough height for me (I’m 6′ tall). The legs extend via twist-locks, and the sections have an anti-twist design. I didn’t run into any problems adjusting the height of the Oben during my photo safaris. When collapsed, the Oben CTM 2500 is 17.3″ (43.9 cm) long, and it weighs just over one pound (470 g). That’s one reason I chose this monopod to test; my older Gitzos were much heavier (although rated to handle heavier loads). The top plate of the Oben CTM-2500, showing the reversible mounting stud and anti-twist stop screws. 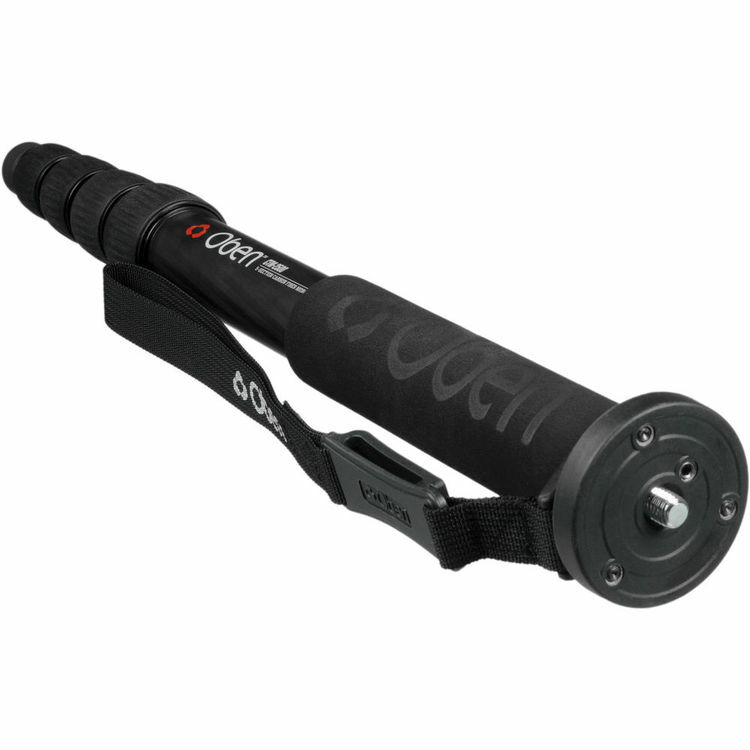 Honestly, there isn’t much not to like about this monopod, especially when you factor in the price. I used it extensively with a RRS Monopod tilt-head and my (BIF)BullsEye Arca-Swiss shoulder stock, and other than having to tighten the lock screws once in four days, it was stable and solid. With larger lenses, you can expect a little flex in the monopod, especially if you have it fully extended. However, I did not find any situation where I was concerned about stability. Review disclosure: I received an evaluation copy of this monopod for this review from site sponsor B&H Photo.